CET is turning fifty in 2017 and is proudly celebrating its Golden Anniversary as well as the astounding success of over 200,000 individuals touched and transformed. Born in the 1960’s, CET was founded with the idealism, activism and hunger for social justice that was inherent in the DNA of that generation. At that time, opportunities for minorities in education and employment were few to non-existent, therefore, the daring to stick one’s head out in the name of equality presented little or no risk. 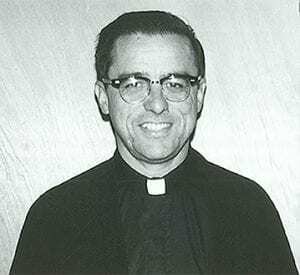 Father Anthony Soto, Catholic priest and Pastor of our Lady of Guadalupe Catholic Church in the “Sal Si Puedes” (Get out if you can) barrio of East San Jose, California, was one such activist. Father Soto was a strong and wise but unassuming leader who witnessed the explosion of jobs in the technology revolution and saw many of his parishioners being displaced and left behind, unable to take part in these new opportunities. Farmlands were being cleared to make way for this industrial growth and many were losing their only source of income. He knew that the only way for San Jose’s farm and low-income, hard-working community to partake in the new tech jobs was through education and training. In 1967, after researching numerous models of skill training, Anthony Soto found the Opportunities Industrialization Center (OIC) in Philadelphia, Pennsylvania. Founded by the esteemed Reverend Leon Sullivan, OIC was a program that could be easily replic ated and transplanted to San Jose. He needed a partner and found one in former Peace Corp administrator, Russel Tershy, who had operations experience with the OIC model and became CET’s first Executive Director. With financial support from the Catholic Archbishop in San Francisco and local, emerging high technology companies, Father Soto and Russ Tershy, incorporated the San Jose OIC-CET program in June of 1967. CET’s early beginnings were quite modest. CET’s first office was a small room behind Our Lady of Guadalupe church that could fit no more than a desk and chair. It was from there that Soto and Tershy, formed a board of directors, garnered local community support, and conceptualized and built the new program. The program would go beyond simple job training and promote human development to ensure students had the complete skills set required to become self-sufficient, contributing members of society. Training was to be accessible to all, and no student would be turned away for lack of basic skills. Staff were hired and job training was started in October of that year. Many of the staff that started with the fledgling organization dedicated their lives to continuing the CET vision. It has been said time and again that the staff is CET’s greatest asset. Hermelinda Sapien, CET’s current President/CEO is an original staff member and carries the mission and vision of the founders forth. The first home of Center for Employment Training (CET), Our Lady of Guadalupe Church, is now known as McDonnell Hall and is a National Historic Landmark. In the 60’s, this church, deep in the heart of the mostly Spanish speaking barrio, connected the Mexican American civil rights movement and the ongoing efforts to organize Mexican migrant farmworkers. The church was also home to the Community Service Organization (CSO), which spurred Cesar Chavez’ United Farmworkers Union (UFW). These organizations remain as dedicated to their communities and their original missions of advocacy, training, and empowerment today as when they first began. Behind CET’s extraordinary story is a long list of contributors, they make up the founders and visionaries of this great organization. Included in the list, past and present, are board members, leaders, administrators, instructors, counselors, mentors, employers and volunteers who believed in and followed the vision and mission of CET’s Founders. In October 1967 when the first student enrolled in the newly established CET machine shop, a trend was started that has endured and thrived through good times and hard times for half a century. Without the generosity of our sponsors and donors, CET would not be able to carry out its important work. Thank you Sponsors!